… and Wall Street shrugged. Zynga announces a $1 billion IPO and every freakin’ investment bank in New York is clambering to get in on it. These are the very same banks that were recently slobbering all over LinkedIn and would most likely kill anyone who tries to stop them from getting in on the Facebook IPO. 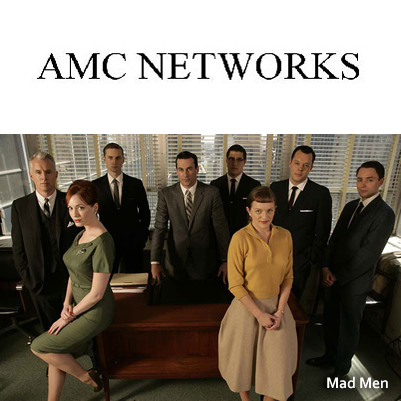 AMC Networks (AMC, IFC, WE, Sundance) represents highly-regarded premium television content (Mad Men, Breaking Bad, The Killing, Walking Dead, etc.) – the kind of content Hollywood needs people to watch. The kind of content only Hollywood can make. And the kind of content people really love. Sounds likes a win win win. And a buy buy buy. 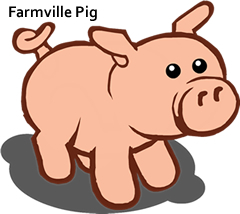 Zynga represents little $1 digital pigs for sale in Farmville. Not what you would call premium content. Sounds like a lose lose lose. “Mad Men” or “Digital Pig”? AMC Networks or Zynga? Which would you imagine to be the Wall Street darling? Cable Networks (and their two strong revenue streams) are the bread and butter of giant media corporations. If Wall Street shrugs at a pure-play cable network spin-off like AMC Networks, what does that say about the future of old-school big media? Being an employee of old-school big media, I’m not sure I like what that says. Should they adapt to the changing (but unproven) business models and stop distributing quality content – focusing instead on selling little digital versions of Don Draper for $1? Or should they continue to do what they best until they simply disappear because their audiences die of old age? Personally, I blame the whole VC/Y Combinator mentally for creating this unearned enthusiasm for certain companies that are, when you really look at them and see what they produce, pretty boring, uninspired and a waste of time. But more billionaires will be minted – and I suppose that’s ‘End Game’. The Woman Who Saved News Corp. The risk reward has completely shrunk for premium content. 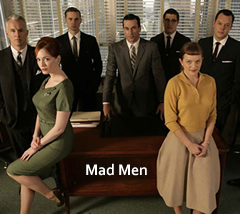 And AMC only distributes Mad Men – I think they may produce the other ones – I’m not sure. The audience is fragmented. This wasn’t a shrug. This was a full on kick to the balls. This is actually a pretty typical situation. AMC wasnt necessarily an IPO in the traditional sense like Zynga and all these other tech startups do. It was a spin-off, and it has technically already been trading for half a month, this was just the official date of shares being issued. Shares all went to designated holders of Cablevision. Often times funds who held Cablevision are not allowed to own the spin-offs because they are either a much smaller market cap or have too much debt or are a completely different business than the focus of the fund. Because of these rules in funds there is initially a large sell off in spin-off and this is well documented in Joel Greenblatts How to Become a Stock Market Genius book. Smart people would take advantage of this drop/ continued drop and buy in at lower prices. In a highly leveraged company like this, any good news could skyrocket the stock. Also in response to the first paragraph, AMC was close to having the record on how many underwriters and advisors it had on its bond issuances, 18 in total. The investment banks are clearly interested in this company. Hey there, SafisKusai – while I agree this is a fairly typical situation – I must say, it’s just strange that this company – while on paper seems really strong – won’t even be close to creating the kind of insane wealth that all these crap shoot new media companies are creating. The point was that here is what seems to be a solid money maker (two consistent revenue streams that probably won’t change for many years) and it’s basically treated with a shrug (or kick to the balls as someone in the comments suggested). The problem is, as I see it, is that Wall Street doesn’t really care if your company makes money. It only cares if you grow and grow and grow in a hockey stick chart kind of way. That’s just a horrible message to send and bad for the future of any economy.